Install a tumble dryer in a kitchen and you need to consider a ventilation solution at the same time. Without flexible ducting and a direct source of ventilation linked to the outside, excess heat and moisture will soon build inside the room. 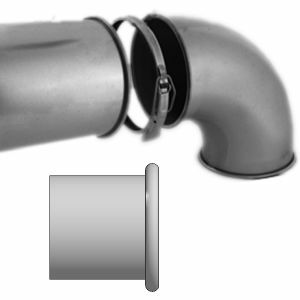 We have everything you need to provide a suitable ventilation solution for your tumble dryer at Ducting Online. 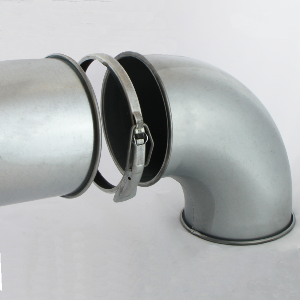 Our ducting kits are a practical and affordable solution, and they’re very simple to install. Once installed, you’ll be able to start tumble drying straight away and no longer have to worry about wet clothes lingering around the house. Just take care when you are using a tumble dryer and follow this advice to avoid potential problems. Would you toss dirty clothes into a washing machine without reading the care label first? Most people like to check the labels on clothing to ensure they are being washed at the right temperature. Use a tumble dryer and the same level of care should be taken. Read the label and look for a logo that tells you if it is safe to dry the garment in a tumble dryer. Carefully check the label before you place anything in a tumble dryer. Look at the symbols and make sure you are fully aware of the care instructions. Fail to do this and don’t be too surprised if garments suffer from shrinkage. Don’t place too many wet items into the tumble dryer. Pack them in too tightly and your clothes will take longer to dry meaning you’ll use more energy and waste money. When you place clothes in the dryer check they have enough space for warm air to circulate around them. This will improve the efficiency of the drying process. When you load the dryer up with wet garments spare a few seconds to remove lint from around the door. In particular, wipe the filter on the door to prevent lint from clogging this area, it’s a simple action but it will ensure the dryer works to the best of its abilities. With adequate ventilation and by following a few simple tips you’ll soon become a tumble drying guru. 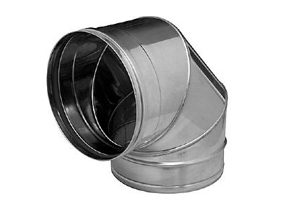 Don’t hesitate to get in touch with us at Ducting Online should you require a tumble dryer kit or any type of ventilation solution. If you’re considering a new bathroom, utility room, kitchen or even toilet in either a domestic or commercial property there are certain regulations that you’ll need to follow. One unavoidable regulation is for the installation of an extractor fan. However, with such a vast number of extractor fans available to buy, how do you know which is the right one to choose? There are three principal types of extractor fans. Every model can be categorised as either an axial, centrifugal or inline extractor fan. Each should always be appropriately installed in the property into a wall, with the ducting located on the exterior of the property. Installation will demand that you cut a hole, the size of the fan in the wall to allow the air to be extracted. Many professionals agree that axial fans are the best suited to installation. Generally used in properties that require elongated ducting, centrifugal fans are popular in commercial and industrial environments across the UK. They work by turning the air through a 90 degree bend within the fan itself. This increases air pressure, and hence the power of the fan. One principal drawback of centrifugal fans is that they are generally considered to be very noisy, compared to their inline and axial counterparts. Those that intend to install extractors in the ceiling should consider centrifugal fans. Inline fans can, technically be categorised as either axial or centrifugal. They are, however, NOT installed on walls and ceilings, but the void or loft space above a ceiling. More powerful than centrifugal fans, they are also highly capable of providing high performance ducting over long distances. Generally speaking, axial fans are considered to be the most common type of extractor. Found in a wealth of different environments, they are typically placed on a wall, with ducting leading straight outside. Common axial fans are mounted on the walls. Some fans can be installed into window cavities. However, those considering employing this method should be aware that a specific window kit will be required. Always make sure that you purchase a fan that can be mounted on the window, otherwise all you will accomplish is wasting a lot of money. Given the energy efficiency offered by most windows, an increasing number of window fans are considered to be outdated and redundant. 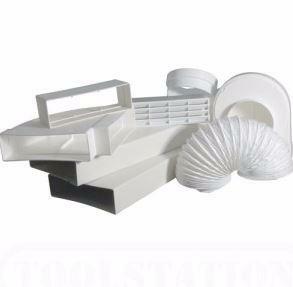 These are just a few of the different types of extractor fans that can be used. If you’re considering installing an extractor of any sort, it’s wise to seek professional guidance prior to purchase to make sure that you purchase the right fan for your environment. One of our previous blogs broached the subject of kitchen ventilation, it explained the importance of ensuring your kitchen is well-ventilated and highlighted what might happen if this wasn’t the case. We thought we’d explore this idea in greater detail during this next blog post from Ducting Online. This time we consider the ways you can improve ventilation in kitchens to prevent moisture and humidity becoming an issue. Drying clothes over the winter isn’t easy. You’ve lost a natural ally. You can’t hang clothes outside to dry, this leaves you with the great indoors and this often causes problems with condensation. Tumble dryers are one solution. They’re good for drying towels and clothes, just check the label first. Make sure your dryer is adequately ventilated though. Ideally your dryer should be ducted to an outside vent, this removes heat and moisture from the room. Boil food on the hob and this creates a high degree of steam. Turn cooker hoods on before you start boiling pasta though and this lessens the impact. Leave the hood on for a while after you finish cooking to remove the excess steam. Cover pans when you are boiling food on the hob. Left uncovered they produce large quantities of steam. Put a lid on things and this should lessen the impact of steam, switch on the cooker hood at the same time to keep moisture build-up to the bare minimum. Do you wait until the kettle switches itself off when you feel like a brew? Change this habit. As soon as you start to see the kettle boil kill the switch and prevent steam building up in the room. Basic solutions are just as effective too. You could open windows or doors to let steam out of your kitchen. It might feel a little fresh but at least there won’t be a high volume of moisture streaming down your kitchen surfaces. Go around checking air vents in your kitchen. Look for blockages or debris that might be preventing the vents working to their best ability. Keep them clear to let steam escape. Kitchens are prone to excess moisture. Use these tips from Ducting Online to keep steam from your home. There are a lot of air conditioning myths circulating, some of which are closer to the truth than others. But for those with little to no experience with air conditioning, it can be hard to tell the truth from the myth. That’s why we’ve put together a short list of air conditioning myths. For efficiency, leave it on – There are some out there that think leaving the AC unit running through the day, rather than constantly turning it off and on is more efficient. But this is rarely the case. More often than not turning it off is the most sensible option. Your ceiling fan will cool the room – Many believe that by purchasing and installing a ceiling fan, they’re adding something that’ll help keep a room cool. Unfortunately though, it isn’t true. All a fan does is moves air around your room, which produces a wind chill factor. This is beneficial if someone is in the room. But if you’re just leaving it on thinking it’ll make it cooler while you’re out, you’re wrong. It’s just wasting energy. Don’t check it unless there’s an issue – It’s easy to just leave your air conditioning to it and neglect regular checkups. Why fix something that isn’t broken? Well if you’re looking for an efficient air conditioning system, you must make sure it’s regularly cleaned and serviced. Things like a clogged filter can impact performance. They generate fresh air – Despite the popular belief, air conditioning units don’t generate fresh air. They actually refrigerate the air within a room using a compound called a refrigerant that is held within a coil. The air conditioning unit will evaporate the compound making the room colder. If you have a question about your AC unit, or suspect it isn’t working to the best of its abilities, you can contact us here. We’re always happy to help in any way we can! 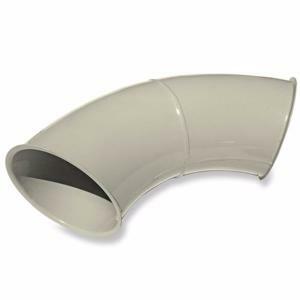 Spray booth filters are one of the many products we supply at Ducting Online, our products are used in paint shops and car prep bays around the country and we like to think we supply some of the finest filters to our customers. Stop and consider the importance of filters in spray booths for a moment and you begin to realise how vital they are, without them air isn’t filtered effectively and this is detrimental to health and wellbeing. This blog explores the importance of filters for spray booths and examines some of the considerations you might want to make if you intend to work in a booth at some point in the future. How long are the filters designed to last? There’s a certain timeline involved when you are using filters in spray booths, once they become clogged they are going to have to be replaced. You can reduce the timescale involved by purchasing good quality filters that are designed to last anywhere up to 3 – 5 times longer than standard types of products and this is something we specialise in at Ducting Online. Do the filters improve air quality? Obviously the main purpose of filters is to remove dust and particles prior to air being vented outside. However, filters help to purify the air that enters the spray booth as well, they should help to improve your working conditions and create a clean working environment. Are the filters user-friendly? Once fitted do the filters work without any problems, are they easy to access and simple to replace? Filters need to be friendly from a user’s point of view, our pleated style filters for example help to capture over-spray efficiently and they’re ever so simple to replace and update. Are they compatible with most coatings? Run a busy spray booth and you might working with different coatings on a daily basis. Therefore it’s good to know the filters you have just installed work with any type of coating, if they favour some more than others how do you know the air is being filtered effectively? 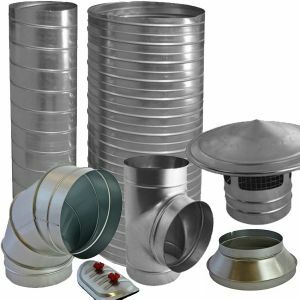 We stock filters that are designed specifically for spray booths at Ducting Online, give us a try, you’ll find all of our filtration systems are environmentally-friendly products. Switch the air conditioning on in your home or office and you expect it to automatically acclimatise the room and create the ideal temperature. That’s fine if you have regular air conditioning maintenance, it’s not so great if you are a little ‘sporadic’ with your maintenance schedule and the system isn’t performing as it should. We’ve been looking at the advantages of regular air conditioning maintenance at Ducting Online and these are some of the answers we came up. Keep on top of the maintenance for your air conditioning and this is a great way to extend the life of the system. Regular servicing and frequent health checks ensure your system is running in perfect working order and this will enable you to eke more life out of the air conditioning which represents greater value for money in the long run. Regular servicing is a good way to improve the efficiency of air conditioning, the air is cooler, the system is more reliable and you have peace of mind knowing you can set the perfect temperature when you like. All it takes is routine maintenance as per the service schedule and your air conditioning runs with total efficiency throughout the year. Want to lower your energy bills? Have your air conditioning serviced regularly. If the system is running smoothly it’ll be more efficient and if the air con is efficient it’ll be less of a drain on your electrical supply. Stay on top of the servicing, it saves you money and lowers your carbon footprint at the same time. Want to prevent your air conditioning breaking down? Take care of your system, have it serviced on a routine basis and remove the need to call an emergency engineer. Nurture your air conditioning and when you walk into the office in the morning you won’t have to worry about whether it’s going to work or not!